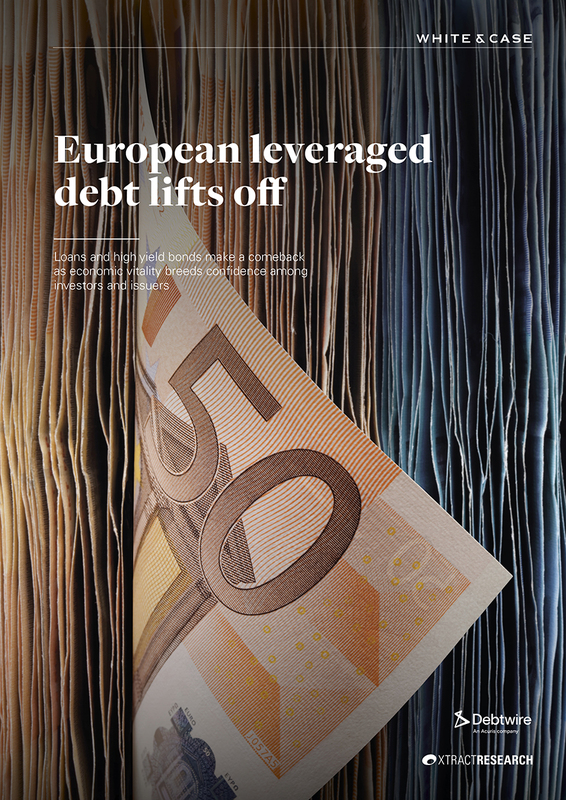 We are pleased to present European leveraged debt lifts off, published in association with White & Case. Using data from Debtwire Analytics and Xtract Research, the report highlights the key factors and trends that are driving leveraged loan allocations and high yield bond issuance across Europe and the rest of the world. Leveraged loan deals reached €282 billion in 2017, topping the €151 billion posted in 2016. It was a similar story for high yield bonds, which saw issuance at €114 billion, surpassing the 2016 figure of €86 billion. As in 2016, re-pricings and refinancings drove the market, as companies looked to lock in funding and push out maturities. These accounted for 55 percent of leveraged loan issuance by value, while 45 percent emanated from new money. Loans comprised 71 percent of leveraged debt issuance in 2017 while high yield bonds accounted for 29 percent. This was partly driven by the buoyant demand for collateralised loan obligations (CLO), which not only offer better risk-adjusted returns than other fixed income strategies but whose floating rate notes offer protection against a rising rate environment. The average leveraged loan size in Europe has leapt up. In 2017, it grew to €782 million—up from €705 million in 2016 and €586 million in 2015. The search for yield has meant a shift towards riskier credits, with 62 percent of leveraged loans which are rated B+ and below compared to 53 percent last year. It is a similar development on the bond side, with 43 percent of rated credits at B+ or lower, up from 30 percent a year ago. During 2017, services (€32.6 billion), chemicals and materials (€23.5 billion) and financial services (€18.6 billion) were the top three sectors comprising over 25 percent of leveraged loan issuance.